Psoriasis is not just a skin disease, but also an autoimmune illness. The severity of the pathology is characterized by periodically recurring and developing possible complications. In this article, we will talk about why humans have no cure for psoriasis, and some interesting facts Why is there still no cure for psoriasis? More interesting facts about this disease can be found in our article. October 29 is the annual World Psoriasis Day, which was established in 2007 by the International Association of Patients with Psoriasis and Psoriatic Arthritis. Inflammatory reaction in the dermis. Violation of the keratinization process. Metabolic and immune system disorders are associated with many factors, but the main one has not been identified yet. 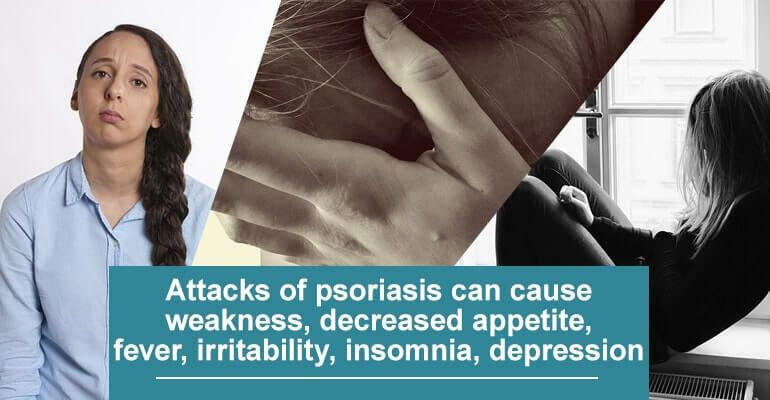 Psoriasis disturbs the patient not only from a cosmetic point of view, but it also brings considerable physical and psychological discomfort, which can lead to further disability. The main symptoms include skin rashes and psoriatic plaques of pink and red color. Red patches of skin are quickly getting covered with silver-white scales. Itching and burning sensation accompany rashes. They can be localized in various parts of the body, including the mucosa. The most common locations are scalp, face, upper and lower extremities, trunk, etc. The disease can spread to joints which can lead to disability. If the disease can not be cured, then it can be “negotiated”. In other words, you can learn how to live with it. The disease was described in medical manuscripts as early as the 40th century BC. Pathology was considered to be a “disease of the emperors”. Psoriasis is among the ten most common skin conditions. According to research, 5% of the world’s population is diagnosed with “psoriasis”. People of European ancestry with fair skin are more predisposed to psoriasis. Indians, Inuits, and Africans have a low incidence of the disease. According to statistics, urban residents are more likely to get sick than villagers. The disease is not contagious, so it does not require isolation of the patient. It can be inherited, especially if both parents suffer from this ailment, then the risk increases by 50%. Psoriasis can often accompany other diseases (diabetes, thyroid disease, autoimmune disorders, etc.). Pregnancy can become a trigger for the development of the disease. Other common reasons include reaction to some medications, stress, and infections that break immunity. The risk of the disease increases by 80% in people with bad habits (smoking, alcoholism). It affects both children and adults. It can often be found in patients as young as 15 years old, but is rarely found in young children and newborns. The life span of healthy skin cell lasts 28 days. In psoriasis, this period is significantly shorter, lasting 3–4 days. It leads to the fact that patients look younger than their age, and in the case of skin injuries, the wound heals quickly due to the rapid regeneration of the cells. According to some scientists, people suffering from psoriasis are less exposed to ultraviolet radiation and have a lower chance of cancer. Increased antioxidant protection in patients with psoriasis contributes to good potency and mental activity. Besides local manifestations, patients might experience psycho-emotional disorders (depression, insomnia).There is a possible connection between psoriasis aggravation and risk of suicide. Predisposition to psoriasis can be predicted by individual markers that have been discovered recently. Another cause of the disease is a mutation in a particular CDSN gene that encodes a specific skin protein. This failure leads to its excessive accumulation, then death and inflammatory reaction in a chronic form. The best weather conditions for maintaining psoriasis in a stable remission is a hot and humid climate. If you live in an area with a cooler climate, it is recommended to have a spa resort type of vacation in a country with warm weather at least once a year. It is important to use moisturizing creams all the time. Psoriasis is an incurable but controllable disease. With the right approach, you can achieve a stable remission. One of the methods is using UVB lamps to remove local symptoms and prolong the process of remission. You may notice the first positive results after the first week of use. Removal of dead skin scales from the skin surface is not allowed. It can lead to complications and infections. Long-term remission can be achieved by following the doctor’s recommendations. Ignoring the disease may result in serious complications that will noticeably affect your well-being.